This die "coordinates" w/"Happy Mail" stamp set! You can see a video HERE on how you can use this die! 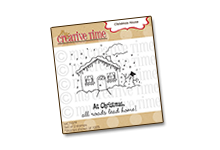 This die set "coordinates" w/"All Around Christmas" & "All Around Halloween" stamp sets! 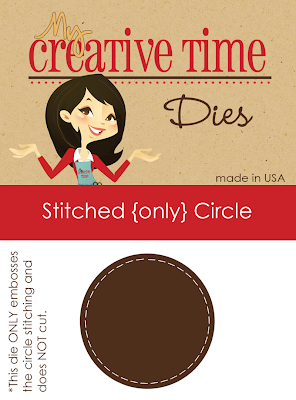 Expand your creativity w/this unique "Stitched Embossing Circle"! You can see a video on how this works HERE! 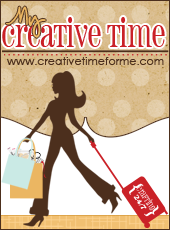 Here is the blog hop line-up just in case you get lost along the way! All of the stamps AND dies are available for purchase HERE & will be shipping out this weekend! If you are looking for the dies on my product page, make sure you scroll down below the stamps! Oh my gosh Emma you ROCKED them all!!!! Way to go. WOW! another FANTASTIC release!!!!! I love your stamps!!!! i will be ordering today!!! 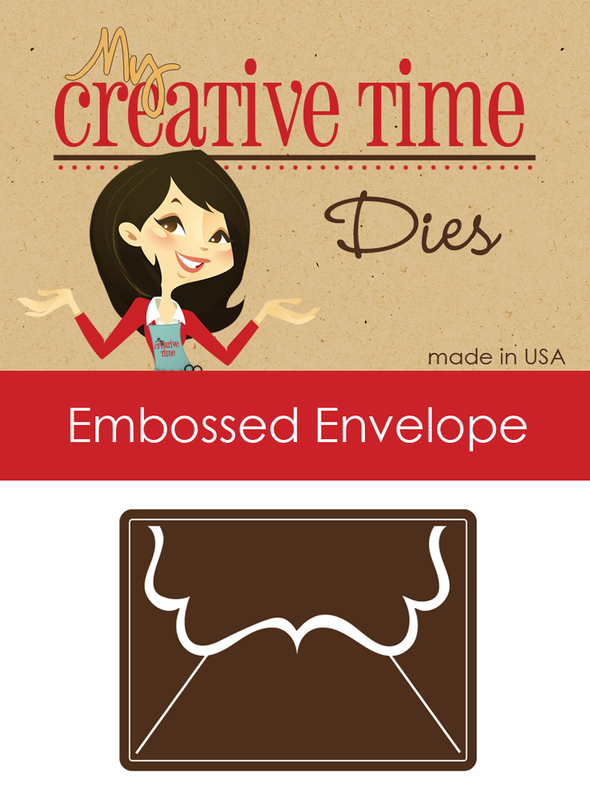 I totally love the envelope die and stamp set....Love all of them, but that is my fav. Great release.. I would love to get the scallop! I don't know why i didn't ordered it!!! ugh!!! I guess my fingers work faster then my brain. I just love everything!! Great release Emma!! I love Many Greetings and the scallop & circle die. Can't wait to see what your DT has in store for us. ANOTHER FABULOUS RELEASE!!! Can't wait to get these stamps! This one is by far my favorite...I love the coordinating dies and embossing plates. 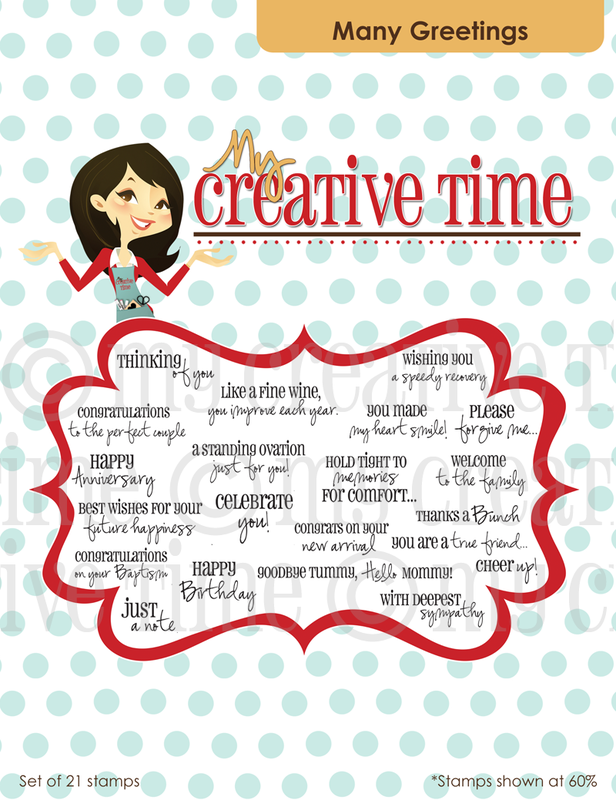 And also the little images that fit so well with the sentiments! 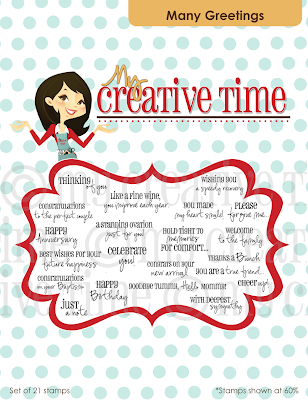 Thanks for sharing your creative talents!! All your card looks amazing. I love the earrings. I love all your stamps, but I'd have to say my favorite now is your christmas set and the die's to go with them. They are all so cute......My friend Jen just goes on and on about your stamps. I will buying some soon. Miss Emma, I love your new dies and stamps, adorable! All of the projects you made with them qre extra cute too. Wow, your release is amazingly wonderful. I love them all but my favorite would be the All Around Cristmas assortment. Emma, All your stuff is super duper adorable!!! I love all your stuff!!!! And most of all I love watching your videos and you help us become crafty like you!!!! Thank you so much for the free cartridge. I am jumping up and down!!! HEHEHE Okay, I have to go order now and then off to the blog hop! Thanks again! Great release--my favorite is Happy Mail. Another great release, just placed my order....couldn't wait until after the blog hop. Don't want my sets sold out! Your 7th edition release has been my very favorite so far. I use it all the time. Can't wait to get these. 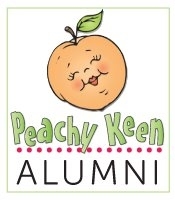 I love using your stamps for my secret pal cards. They go so perfectly with my cricut cuts. Great release Emma....my favorite All Around Christmas!! Just ordered it along with the stitched only circle and I can't wait to play!! Lots going on today so I am not sure if I will be able to hop but I am going to try. Emma this release is great!! I can't wait to get my stuff in the mail:) Thank you!! Well Emma you did it again! another great release. They are all great!!!!! hopefully I can order some or maybe they will go on my Christmas wish list, if I can wait that long (hehe). Emma! Besides your first release, this is my favourite! My favourite set has to be the Christmas one. 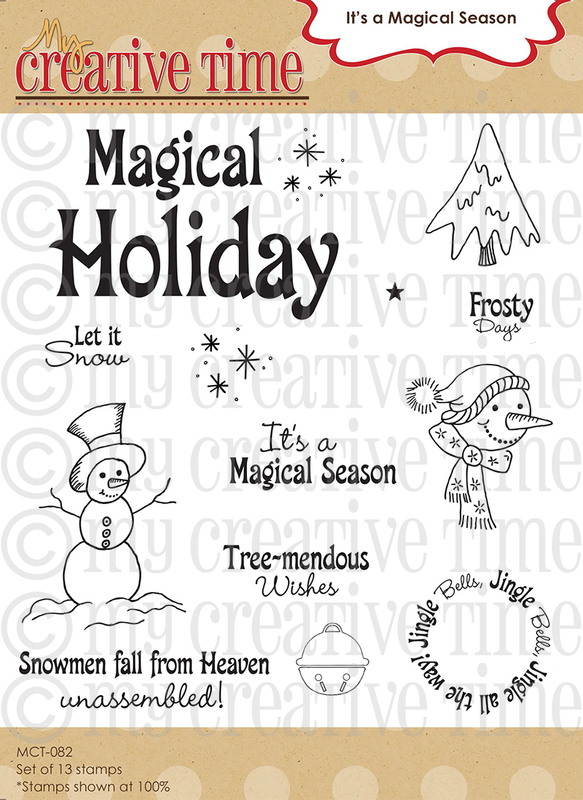 I look forward to "hopefully" more holiday stamps! This release is so super cute ai love everyone or them. It will be hard to chose just one may just have to get them all. LOL. Awesome Awesome Awesome!! I love them all for sure. Happy mail would be at the top. Thanks. Congrats to all the winners. Great prizes. Emma the new dies are so cute. OMG!!! I love every single new release!!! I am going to have to gt a second job!!! LOL! I love love the many greetings because it has so many great sayings. Every stamp set you create is perfect! So to choose a favorite, very hard! But if I had to choose it may be this release! Love the new dies! Hi Emma, My favorite set would be the Scallop and Circle Dies(Stiched). Love it! ...I know I just left you a comment, but gave me an error, so here I go again! By far this is my favorite release!! love those earrings!! I like your newest one the Many Greetings because it gives you something for everything! I really like things that can be used for multiple purposes and this is one set for that woot woot!!! Oh my goodness, I'm still smiling from the sentiment on the Halloween card. Love it! Gosh, you don't check it for a while and find out that you have coordinating dies now. You are one busy lady! Wow! Love them all, but I think my favorite is the Happy Mail. I think that set would be perfect for making cards for Operation Write Home! This is the BEST release YET! I am loving Many Greetings! I absolutely love the Inspiring Words and accents sets. Actually they really all are must have sets. 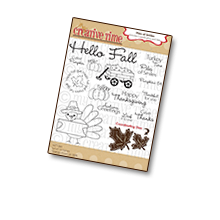 I love your ideas stamp sets and dies. Keep up the fabulous work. You are an inspiration. Just loving all of the creative ways you are using these stamps and dies, Emma! Looking forward to watching the video when I have better Internet. All around Christmas is my fav! I LOVE All Around Halloween! That set came out super cute! Wow What a great release. They are are just perfect. Great job by everyone and congrats to the winners. I'm lovin these new stamps but especially the new dies! My fav in the All around Halloween! Thanks for the chance to win! Emma, your projects are awesome, this edition ROCKS. Love the All Around Christmas and All Around Halloween. Everything is fantastic and the Designers did a Fabulous job, as usual. Love those earrings. Congrats on the new stamps Emma! They are all awesome but I love the All Around Halloween and All Around Christmas best. Those are wonderful. Love the dies and love the round phrases. Christmas looks to be my favorite. I love the round stamps & the dies. Can't wait to use them for my projects. oh my gosh Emma!! these are amazing! each release is my favorite!! no way to chose just one set. If I HAD to though, it has to be All Around Halloween! congrats and fabulous new items!! Wow! What an awesome release! My two favorites from this release are Happy Mail and Many Greetings. Such clever cards and I love the sheer ribbons. The earrings are very cute. In the hop today there were so many clever ideas...your Design Team is fantastic. Your new releases are wonderful. Awesome giveaway! I would have to pick All Around Christmas. It will be hard to choose if picked. Thanks! Oh gosh Emma.... you know it's impossible to pick a favorite!! I really really love them all! 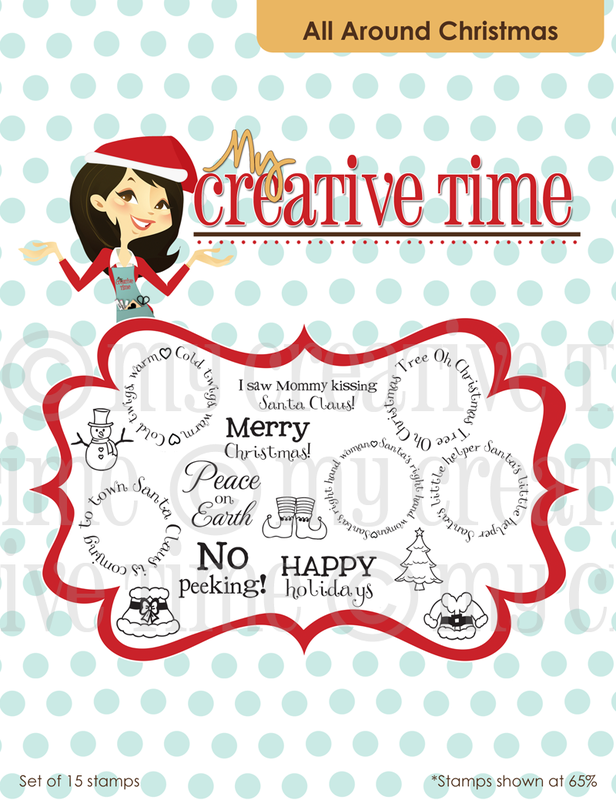 I think I would get the most use of the Many Greetings and the All Around Christmas ones tho! :) Love the new dies and embossed stitched circle...way cool!! All your new releases look great! I really like the Many Greetings! 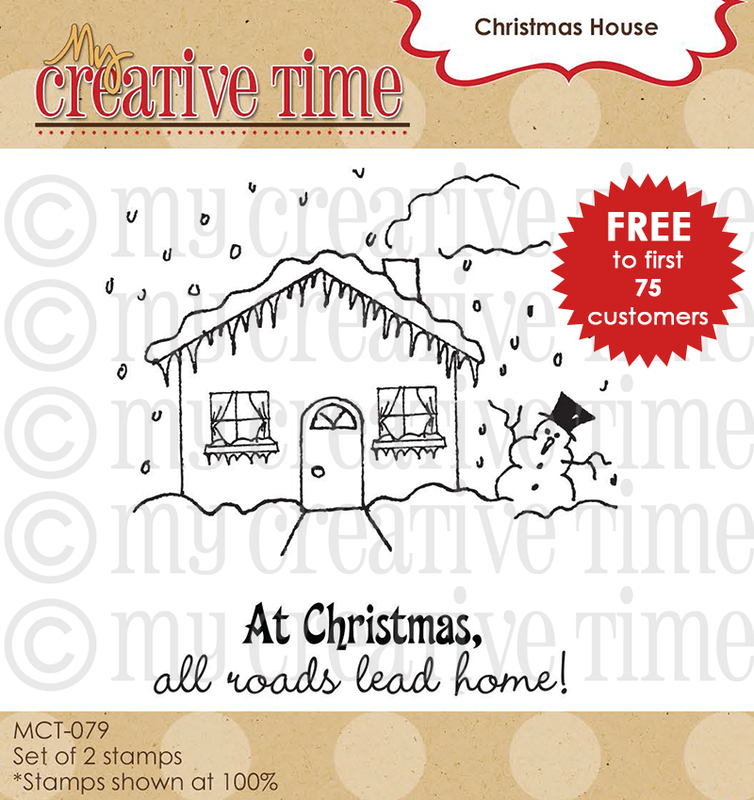 I luv luv the Happy Mail and All Around Christmas stamp sets! But all the set are great! i really like the coordinating stamps and dies. great idea. This was a GREAT release...I really loved them all but I'd have to say my favorite was the All Around Christmas set. Thanks for all your great ideas. Oh Emma,,,I love, love, love them all...I do have to say that my favorite is the Happy Mail and die set...I can just see and the cutness I can create with that. Awesome stamps and dies. Theynjust get better and better! You are so talented and inspiring. 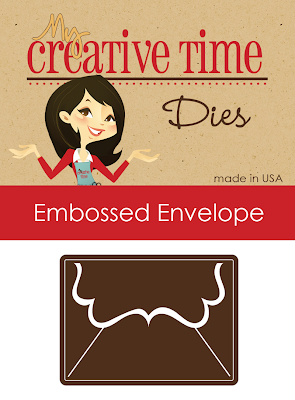 The envelope die is totally cute. I really love it! Your Halloween stamp set is my favorite so far but it was a tough choice. There is NO WAY I could pick which release is my favorite. They've all been great. I really love the combo of the round stamps 2 w/ the coordinating dies. Another great release! Love them all. My favorite is "Many Greetings"! Oooo love to win...love your many greetings set! All of your project are so fun! The releases keep getting better and BETTER! I can't wait to see what you have up your sleeve for next month! Inspiring Words is my favorite! Congrats on the new release! all around Christmas is my favorite BUT all are perfect. congrat's to all the winners!!! I love the the first two stamp sets. And the cupcake card is too cute. All around Christmas is my favorite. Congrats to all the winners and Congrats to you for another awesome release and a week full of inspiring projects from you and your amazing DT! Great job on everything!! :) Love what you do! Emma, your stamps set are all amazing!!! You did it again! And your projects are all just so beautiful. They make you feel the need to have the stamp set to go along with!!! Well done!!! Oh yah, my favourite is the Happy Mail set--so stinkin' cute!!!!! I love the All around Christmas I think that is my favorite. I love your projects Miss Emma. Where did you get your mailbox? I love all of them!! 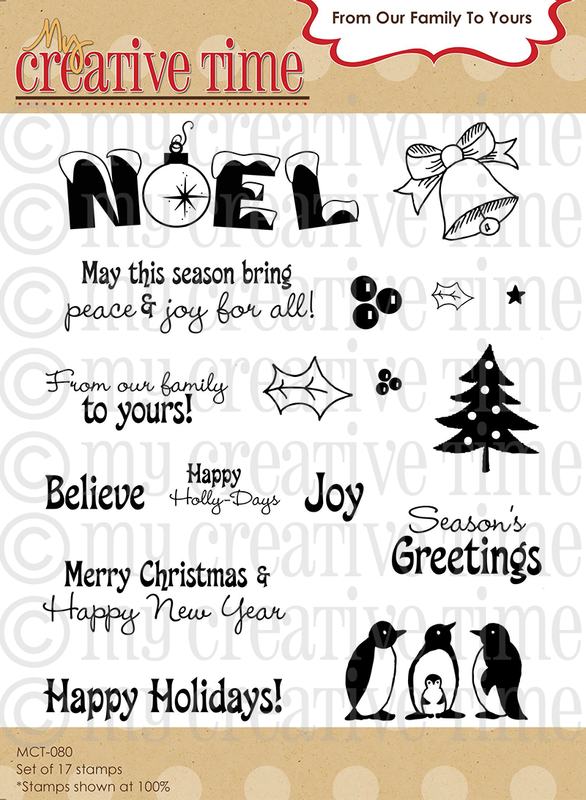 I think if I had to pick one I would choose the Many Greetings set because I would use it all year long for so many different occasions! Waooo this are all wonderful creations.. this is a great release.. These are really awesome stamps and dies. I really want the Christmas one and the dies. I love the all around Christmas! they are all so cute! Great Release Emma! 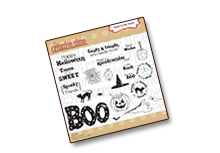 My fav's are the Halloween & Christmas stamps! Awesome girl! Just placed my order and it's hard to pick one release as the best, but since I LOVE Halloween and Christmas, this one might be it! Can't wait to get my order. OMG Emma, you SHOULD be sooo PROUD of yourself!!! AWESOME release!!!!!! I wish I could have bought them all today, but my cc wouldn't let me. :( Hopefully you will still have some of the ones I didn't get the next time I can spend some $ :) This by far, is my FAVORITE release of yours!!! I Love everything in it!!! Great release! I am in love with the Many Greeting stamps. Also love the All Around Christmas. You have done it again Emma! Congratulations on your newest release... I have to say these are def. my favorite of all of your stamps so far, I just love them! My favorite is the All Around Halloween, so original and super cute! Thank you so much! These are wonderful! Love all of your releases - but I think my favorite is your second release! Thanks for making such wonderful stamps!!!!! All the sets are great but I think I would have to pick the Many Greetings. Congrats to all the winners! I'm soooo jealous! Awesome release Emma!! You can tell how much love was put into each set. I love the artwork on the three sets that contain more than just sentiments, but my absolute fav is All Around Christmas. 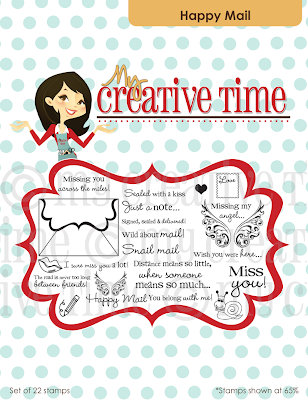 How cute ...I love all your projects and your stamps. What a wonderful release Miss Emma!!! I have loved all of your releases so far! They just keep getting better and better. I love all of the new releases, but I think I like the Halloween one the best. 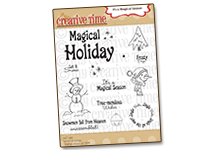 What fun, fun stamps!! I LOVE those earrings!! You are so clever, Emma! i am new to card making and i am loving all your stamps. i purchased your curly die just recently and i am so in love with it. 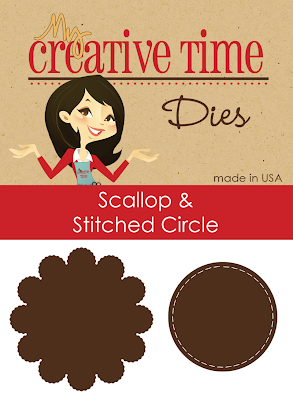 my next favorite is the scallop die. hope to win it! Emma, this is probably my favorite set altogether. 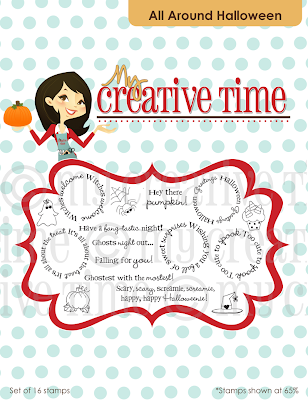 I love them all because it incorporates everything I love, Happy Mail, Halloween, Christmas, and greetings. It amazing! Thank you very much for creating these amazing stamps and dies. Oh this release and all your projects I might add, are spectacular! I have to say that this is my favorite release because of the Many Greetings set! It is perfect! I do have to say that the one last time that has the accents to go with it is a pretty close second! WOWEEE Emma you have done it once again!! All your sets are terrific and it's an even draw between the Christmas Set and the Many Greetings!! So happy to finally see that one! Oh and your dies are the cutest especially the mini envelope! Oh the things we can do with that!! Terrific Job!! Thank you for always sharing and inspiring! I love them all but the many greetings is my FAV! Love the cute cupcake card! How can I pick a favorite?! I LOVE all of your super cute stamps (& dies)!!!!!!!!! One of my most favorite (but don't I say this about all of them?! ;) ) would have to be All Around Halloween! Great new stamp release! My favorite is the "Many Greetings" stamp set. Thanks for sharing your creativity with us. These are all amazing! My favorite is all around Halloween! SO fun! 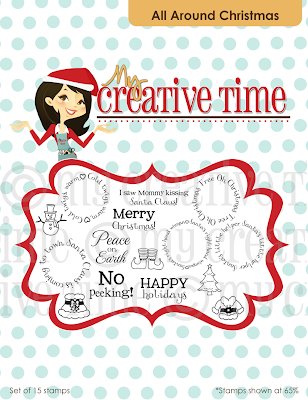 I love the all around christmas stamp as it is my fav holiday but my fav is your scallop & stitch circle (I want those so badly) LOL get stuff all around! OMG, this is my favorite release so far of yours (it may be because Halloween and Christmas are my two favorite holidays).. Thank so much for the chance to win.. I love all of your new release. My favorite is Happy Mail and the envelope die is so cute! Love all your sets, but this release is my favorite! I love Many Greetings and bothe All Around sets! 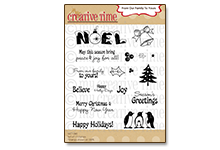 I love the holidays that are coming up and I can't wait to start creating for them! Thanks! These new sets are too too cute. I love the Christmas set as my first choice..But they are all awesome. Everything is all so super cute!! Right now I'm most excited about the Halloween stamps! I can't wait to make litte treat bags and boxes for my little ones! Miss Emma, I adore you more than I can say! I love watching your videos and learning new things. I think this is one of your best releases to date. I can't wait to see what you'll come up with next! Oh my gosh Emma this release is just awesome I think this is my favorite! You are one talented lady; thanks for always inspiring us! Oh Emma I love the All Around Christmas set. Would love to win them. I'd have to say this one because I love the dies and the stamps that fit. Love the Many Greetings set. Truly love them all. I love the Many greeting stamp set although they are all great! Love the embossing plates too! Many Greetings is my favorite stamp set from this release. My favorite is Happy Mail which I already ordered and the dies to go with it. My family is all back east so I know it will be used a lot. Luv luv luv the two holiday sets. I love all your stamps and your design team is so creative. Thanks for this blog hop and all the giveaways. 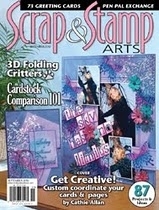 What great new stamps and dies! What a great release!! I will have to order soon! Emma I love them all great job on you cute designs..... The elf shoes might be my favorite image!! I really want them all bit love love love the scalloped circle and stitched circle! I can't wait to get back to work to purchase some of these! Emma, I've been away from blogland for so long I didn't know you came out with dies too! I absolutely LOVE the many greetings, it's perfect for all the sentiments I'm always looking for. I love them all, Many Greetings would be used a lot and be nice to have. These are all fabulous! Many Greetings is my favorite .. thank you! Emma I love love love all the new stamps, but I will say All around Halloween is gonna be my new favorite Emma Stamp. I love it. Hi Emma, WOW!! love your stamps and your new dies. i bought The Journaling set and love it! 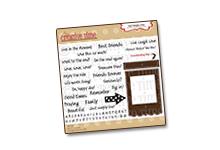 Great job with the new dies and the new set release super cute!! Love you creation. Wow, tough questions, I love them all. The first set I would order though is All Around Halloween! absolutely love all the new stamps! WooHoo!!! Incredible release. Love them all, but really love the circle sentiment sets. OMG! it's hard to pick a favorite because they are all sooo FABULOUS! I'm loving the Halloween (the candy corn cupcake is adorable) :) your design team is wonderful...I've been inspired by all of their projects showcasing your new stamps. CONGRATULATIONS EMMA!!! My favorite is Many Greetings! Thanks for the chance to win. The mail set is the one I love! The new release is fabulous. Love the Dies. 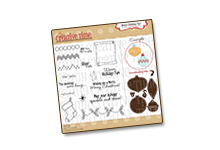 Emma - awesome stamp sets. love them and would love a chance to win. I love all the sets they are all great. My fav would have to be Happy Mail. Thanks for the chance to win! This is my favorite release so far!!! I can't wait to get them all, but the many greetings is going to have to be my first one! So many perfect sayings :) Congrats to all the winners as well! HI JUST ORDERED YOUR NEW SET OF STAMPS AND DIES CANT WAIT TO USE THEM. Love your new stamps! 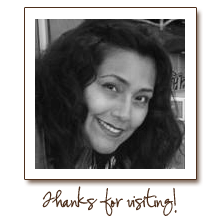 My favorite is the Many Greetings :) Your projects look fabulous too! OMG Amazing release. I love them all. So hard to choose from. Great job Emma. congrats to you! I like that little envelope die. When I saw it on someone's sneak peek, I was like that is so cute! I found it ery hard to choose I loe all your ork but I do like the dies ery nice. Love your stamps! My favorite stamps...the Halloween stamps! Love the cuteness and simplicity of them. OMG Emma, I love them all. But I think I like the Halloween stamps the best. I love the new sets! Especially love the "all-arounds." My off topic comment . . . LOVE that you said "pop" when you said to grab a beverage to go through the blog. I grew up in the Midwest where "pop" was the word assigned to Coke, Pepsi, 7-up and the like. I moved to New England where they looked at me as though I had two heads when I said "pop" and I learned to say "soda." Blech! I smiled when I read the word "pop". Thanks for making my day with both the new stamp sets and that one little tiny word. Such an awesome release! My favorite is Many Greetings! Totally amazing release, I love the Happy Mail set. Hope to win! Emma such great releases. My favorite is "Happy Mail". I love the Die you made to go with it. Such a cute envelope. Your new stamp sets are terrific. I don't know where you get all the inspiration but it is great and makes watching your videos and following your blog so much fun. I love them all, but I think my favorite is the Halloween set. Those earrings are just the cutest! I love all of your new releases! My all time favorite set is the Halloween set! Can't wait to get mine in the mail! I love you blog! I love your items. I cant wait to see more..
Oh my flippin goodness Miss Emma!!! I dont even know where to start!!! You really out did yourself this time girly...i seriously can not pick which one if my favorite...LOVE them ALL!!! BUT if you made me pick =) it would be the Christmas all around...I flippin LOVE the tiny santa suits...that card you made is just too stinkin cute! Love everything you made my talented friend!!! You did awesome once again!! I really like Many Greetings!!! I love the halloween set it is so awsome and the christmas too! Thanks so much for a chance to win! All your stuff is great but this new line is the best so far!!! I love the Race for the cure Charity set.